Are you a mental health provider still sending in paper claims? 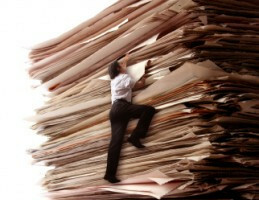 Are you buried in claims paperwork or insurance follow up issues? Are claims not paying correctly and causing a cash flow crunch? Having difficulty getting on insurance panels? If you answered YES to any of the above, your solution is T & T Medical Billing. Whether you're an MD, Ph.D./PsyD, LCSW, LMHC or LPC, T & T is ready to assist with your insurance billing and credentialing. We specialize in billing and credentialing services for small to mid-sized practices. We believe providers can have profitable practices using managed care in this economy. Having competent and knowledgeable assistance recouping funds owed to you will enable you to achieve this. T&T Medical Billing is the proven assistance you need and will greatly exceed your expectations!